I’ve been busy these past few days trying to get my new blog up and running, and I’m happy to announce that it is finally online! 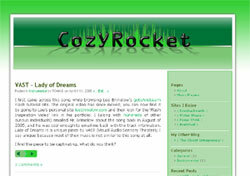 You can visit the site by going to cozyrocket.com; and feel free to leave a comment while you’re there! So why go through the trouble of setting up a new blog? Well, I guess you can say that Cozy Rocket will be the creative side of the Closet Entrepreneur. 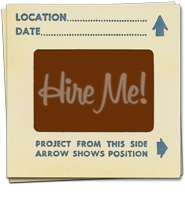 I’ve listed the link under ‘Projects’ in the sidebar, and hopefully one day the site will be more than just a blog. For now though, it’s kind of a side project since I actually have something else in the works (more to come on that later). For now, I hope you enjoy it and be sure to let me know what you think! Congrats on the new blog! i like the domain name / name. It’s a good find. oh man, how do you find the time? Chris – Thanks! I think this is a rare occasion where finding a cool domain name spurred the content and creation of the site. I travel to find time, mostly in my little time travel machine, but I haven’t had the time lately. That’s my 2� worth anyways.